Hello Horse Racing Fans! I have some good information that hit home to me and wanted to share with my fellow horse racing handicappers on how to bet on horses. These are what to do and not to do in horse racing that will save you some heartache in the future. These are good bets if you have a horse that looks good in the paddock and the past performance looks well. Bet the horse to win even if it is a small wager. You can do the exotics all day long but not cashing a ticket in can weigh on your mind so don’t stay away for a small wager on a great horse to win regardless of the odds. A simple even if it is 5 dollars to win you can still get your money back with a little bit and say cash this in. They win 33% of the time so if you bet on them all day you will lose 66 % of the time and the payout is low so you will not come out ahead at the end of the day. Find a happy balance. When you are learning on how to bet on horses favorites are good for cashing tickets every now for your confidence. When it rains it shakes the track up and some of the horses just will not perform well even the horses that look the best. Look for the speed horses that can take the front and lead all the way. Also if it has speed and has raced a decent wet track before you can cash in on this for sure. If you are really torn between tow horses then bet them to run first and second in either order on an “exacta box”. 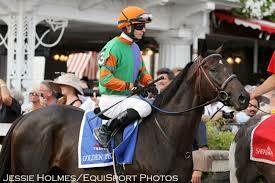 Just don’t do this every race but on some it is hard to pick one horse. 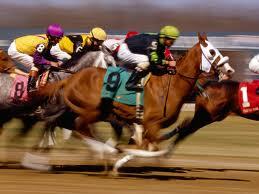 Many tracks have the superfecta wagering for 10 cents. 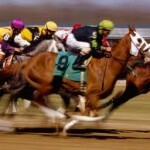 This can be a good bet and especially if there is not a lot of horses in the race. They do this for a reason because the races is somewhat up in the air. You have horses to pick and the payout can be pretty nice depending on the finish. A lot of how to bet on horses is finding a few strategies that work for your particular style and sticking to your game plan. : Wait til the race is official. Depending on your bet if the horse gets thrown out or if you do a place bet or an exacta one horse that is thrown out of the race can be a big impact. Some pick 3 bets will pay if you hit 2 out of 3 depending if a long shot comes through. So make sure it is a losing ticket. I hope this article gives you a few bullets in your guy for how to bet on horses. Look at the many of the great articles on this site for more insight and different plays. Thanks for the great tips! Will followup.